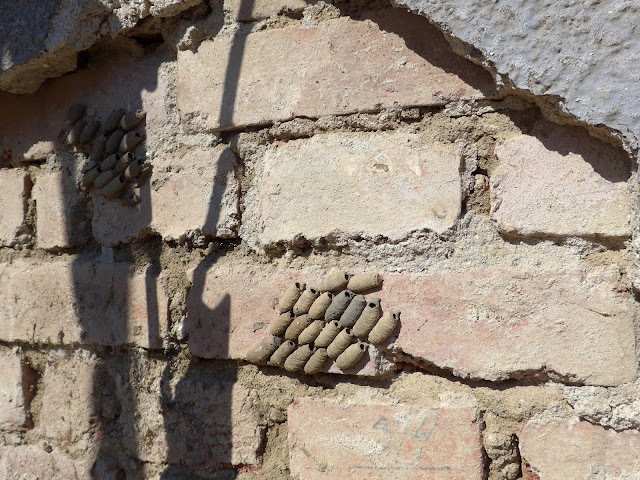 These empty pupae appeared after construction workers had pulled down plaster from the house. The pupae are made of the same matter as the plaster. At least part of it. So they are basically cement. They look great. They say the insect is some kind of wasp. I have no idea. 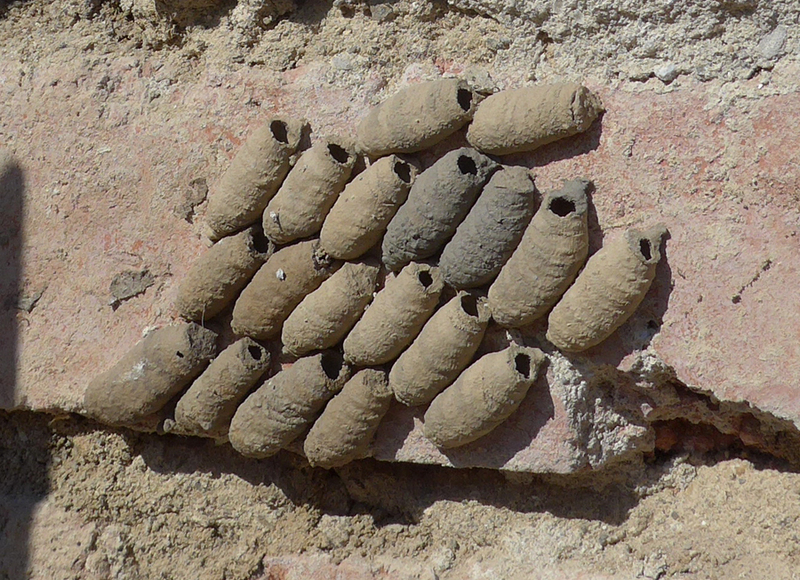 The pupae are about 2 cm long each.